JAKARTA, July 22, 2010 (AFP) - The United States said Thursday it would resume ties with Indonesian special forces after a 12-year hiatus, as part of efforts by Washington to reach out to the world's largest Muslim nation. The announcement, made during a visit by US Defence Secretary Robert Gates to Indonesia, comes as Washington seeks to resume training for the Kopassus unit as part of growing anti-insurgency and intelligence cooperation. "We will begin a gradual, measured process of working with Kopassus," a senior US defence official said, referring to the elite Indonesian military unit with which Washington suspended ties in 1998. The decision was made "in light of the progress that Indonesia and its military... has made in terms of reform and professionalisation since the fall of Suharto as well as recent pledges of reform," he said. The move is controversial as the Kopassus unit has been implicated in human rights abuses, including in East Timor, and some figures in the US Congress have opposed embracing the force before it has accounted for its past. The United States broke off ties with the Kopassus under a law banning cooperation with foreign troops implicated in rights abuses. The Indonesian special forces are accused of committing abuses in East Timor and Aceh under then dictator Suharto in the 1990s. The senior US defence official played down fears that senior figures in the special forces had been implicated in past rights violations. "Individuals who had been convicted in the past for human rights violations have in the past several months been removed from Kopassus," he said. The administration of President Barack Obama, who spent part of his childhood in Indonesia, sees the country as an increasingly important player in East Asia and key ally in the Muslim world. Gates, who arrived from a visit to Seoul, was due to meet President Susilo Bambang Yudhoyono and Defence Minister Purnomo Yusgiantoro later Thursday. Ernie Bower, a Southeast Asia expert at the Centre for Strategic and International Studies in Washington, said the Obama administration needed to handle its relationship with the Indonesian military carefully. "I think it's the view of the Indonesian military that without the ability to engage and train Kopassus, the American engagement and normalisation of the military-to-military relationship would be incomplete," he said. "If you don't have the relationship with the Indonesian military normalised, you can't really participate and be the leading partner in this architecture," he added. 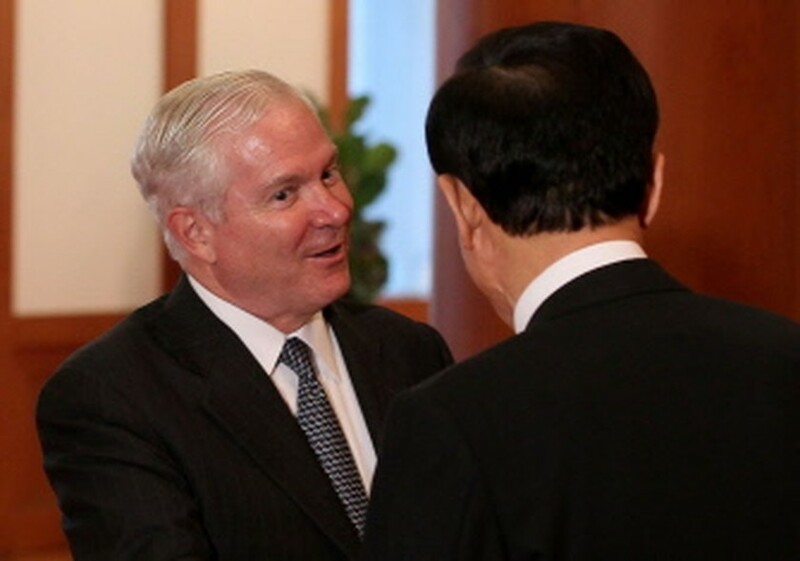 "Gates needs to get it right with Indonesia." However, the Pentagon needs to find an acceptable compromise to seal the deal without encountering too many objections in Washington. "We've been working for some time both within the US government and with the government of Indonesia to try to figure out how and under what conditions we can pursue reengagement with Kopassus," said one senior US defense official. He noted improvements made by Jakarta since the end of the Suharto regime. However, leading voices in Washington such as Democrat Senator Patrick Leahy as well as human rights groups have opposed a normalisation of military ties until Kopassus commanders have faced justice for past rights violations. "Before resuming military cooperation with the Kopassus, Robert Gates must make sure that there's no senior military officers implicated in the past abuse who hold a structural position in the military," said activist Usman Hamid. Hamid, a prominent rights activist from the Indonesian Commission for Missing Persons and Victims of Violence (Kontras), said any troops involved in abuses had to face trial. "Those implicated in the rights violations should be removed from the Indonesian military and... should be tried in a public court or a special human rights crime court."